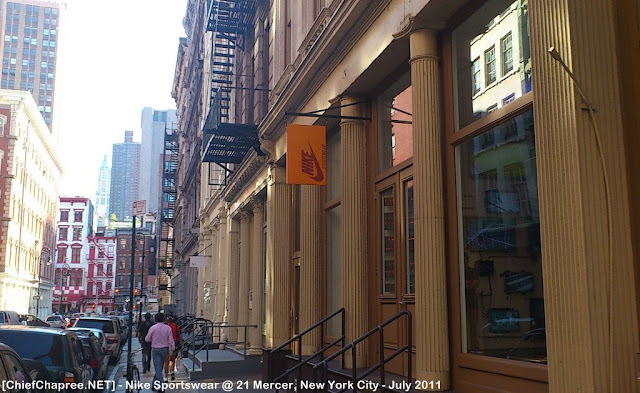 Opened in 2008, the famed 21 Mercer is the first stand-alone Nike Sportswear (NSW) flagship store in the world and I managed to squeeze some time between my uber busy schedule at Microsoft's Imagine Cup 2011 World Finals last July to check out the store which is located at the world famous SoHo neighborhood of New York City. 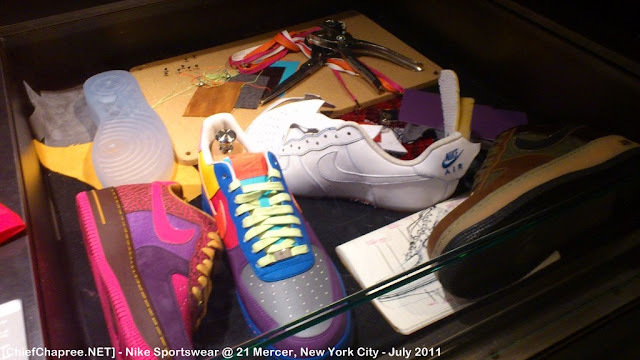 The 21 Mercer is pretty special in the sense that it is not only the first NSW outlet but it is also the home of NikeiD Bespoke Studio. If you not familiar with the NikeiD name, it is customization service* offered by Nike for a number of their products including footwear, clothing and equipment. Just a small preview of what NikeiD Bespoke is all about. 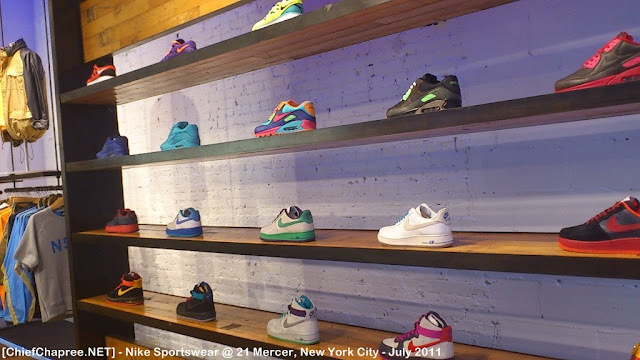 However, the Bespoke program at 21 Mercer which revolves around the iconic Air Force 1 goes beyond the standard NikeID service where at the outlet, it involved 1-on-1 consultation session with Nike designers who would guide the customer on designing his or her custom AF1 from A-Z using huge selection of materials. In short, the Bespoke program is about making a pair of one-off shoes that is designed by you and made for you. Of course, it is not cheap though at USD 800. By appointment only: 21 Mercer's NikeiD studio. But unfortunately, I was not able to check out the Bespoke studio myself because one, I didn't make any appointment - it's not an official trip or anything and I obviously can't afford one xD - and second, the studio is only open at certain days according to one of the staff. 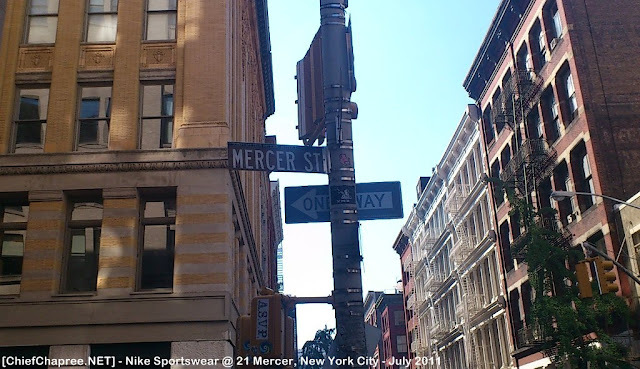 The 21 Mercer also houses some NSW collection that are exclusive to them which were a little bit pricey for me to cop. That being said, I was actually damn tempted to purchase a pair of Nike SB Koston 1 signature model and Nike 6.0 Zoom Primo because they were so damn cheap but in the end, I went home with just a Nike 6.0 t-shirt which was still superbly cheap at USD 12 even though the price tag was USD 20. 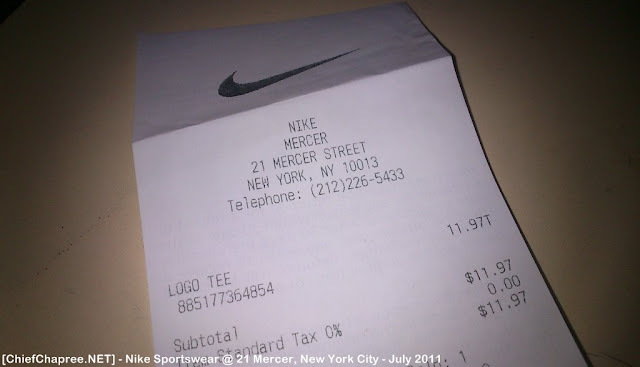 Yup, still kept my 21 Mercer receipt! Why I just didn't empty my wallet right there? Because there were also a number of other streetwear stores at SoHo that I visited such as The Hundreds and Supreme. Not to forget, there was also Flight Club and Niketown NYC - more on them later on, if time permits me to do long blog post again. 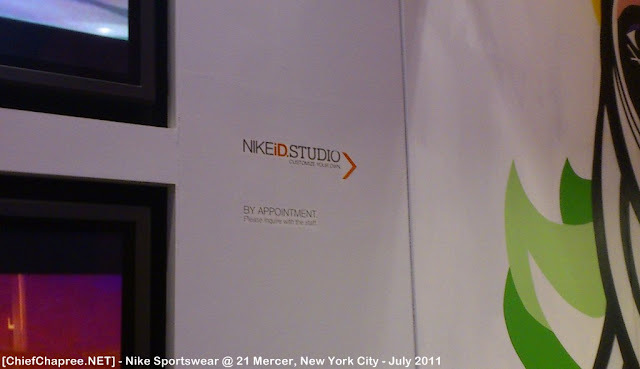 *This service is not available in Malaysia though - the nearest is in Singapore for t-shirt and Hong Kong for footwear. 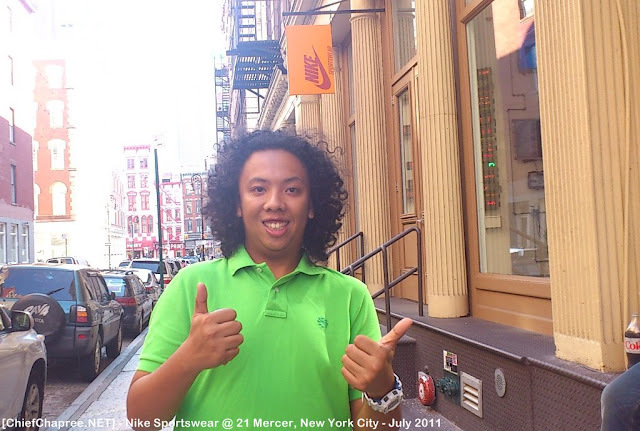 Many thanks for my old buddy (now a New Yorker) - YZ - who was willing enough to bring me around SoHo and also, patient enough to see me went crazy at 21 Mercer as well as other store at SoHo. All images taken with Sony Ericsson Xperia Arc except for the receipt which was with Sony Ericsson Xperia Active. Got comments, friendo? Come on, don't be shy you big baller. Just Another Day In Chap's Life: Isn't It A Pity. Music Monday: In Memory of Whitney Houston. Skyrim Sing-A-Long: You Doing It...Close Enough. ©2009-2016 Syefri Zulkefli. Otherwise noted, contents on ChiefChapree.NET are licensed under Creative Commons Attribution 3.0 Unported License.